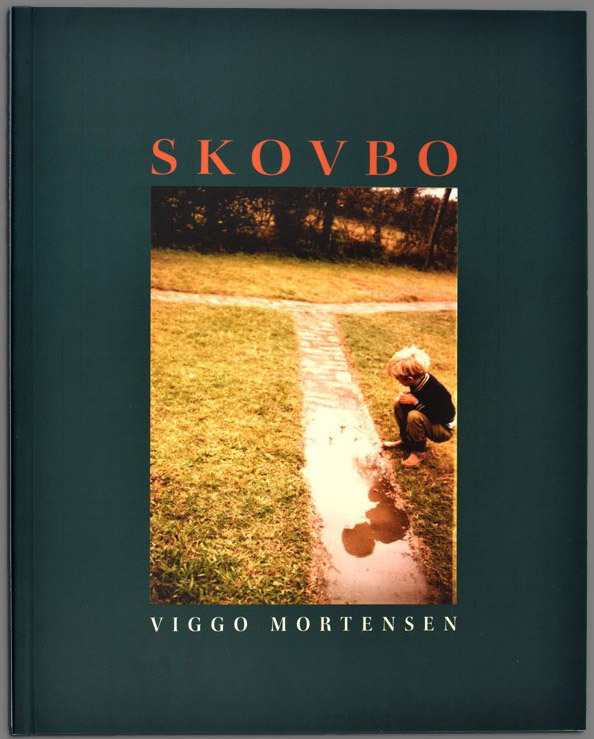 Viggo Mortensen has graciously signed a copy of his latest book, SKOVBO, in support of fundraising efforts for 1,2,3…Hi Baby! at Pine Ridge, South Dakota. The book is being auctioned on eBay, with a closing time of 11 a.m. PDT, Saturday, July 12, 2008. This book functions as a partial companion to the upcoming photo exhibit, also titled Skovbo (which roughly translates from Danish as “home in the forest”), by Viggo Mortensen at the Reykjavik Museum of Photography (Ljósmyndasafn Reykjavikur), opening on 31st May, 2008 and running until 31st August, 2008. In this new collection of images and poems are trees and the memory of trees, ghosts, words, nights, days, lives, deaths, and safe haven for them all in the place where “…the twigs become branches, / And the mist becomes make-believe…” (Osip Emilyevich Mandelstam). If you daren’t enter the forest, or cannot find it, then perhaps you might find one tree, or a place where a tree could be, and just stop for a quiet moment to see what happens. Bidding is active! Go to the eBay auction page for more photos and details, and to bid for the book and to support 1,2,3,…Hi Baby!